Asthma is a very common condition in children and adults. At Alpha Care, our family physicians and on staff immunologist can help diagnose and treat your family’s asthma problems. Asthma attacks can be very scary, not only for someone having one but also for someone witnessing it who doesn’t know what to do. Our doctors will also help prepare you by creating a personalized action and treatment plan for when an attack happens. If you have these symptoms, it is extremely important to get medical attention immediately. If an asthma attack goes untreated, the results are very dangerous and scary — eventually leading to death. When the first signs of asthma are present it is important to talk with a doctor about treatments, medicine, and causes. Our family physicians and asthma specialist will work with you to create a personalized treatment plan, as well as an asthma action plan. Your asthma action plan will help you understand what’s happening during an asthma attack, and how to deal with it. We also recommend keeping an asthma diary, to help monitor your symptoms and identify the early warning signs of an attack. With Alpha Care’s help, you can be prepared for these scary attacks! 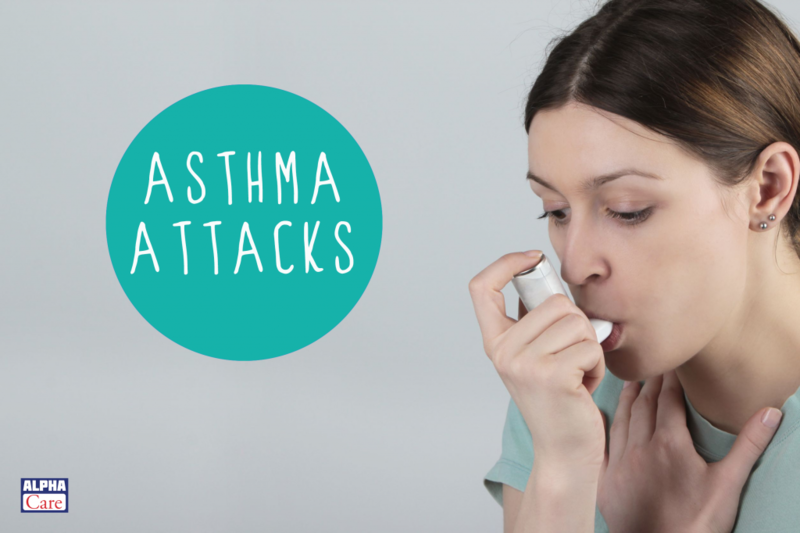 Get asthma treatment and help preparing for an attack from the knowledgable team of doctors at Alpha Care. Visit us in any of our four locations through Charleston, SC for high quality care and friendly service.